Interior Features Tongue and groove wood ceiling. Exterior Features Septic system installed. 10000 gal water with food grade liner, pump. 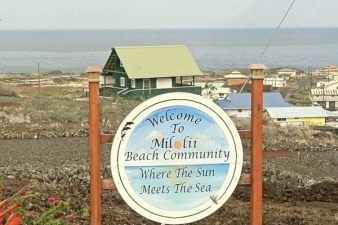 Additional Features and Amenities WOW views overlooking Papa Bay on one of the best lots in Miloli'i. Ocean side subdivision with community oceanfront park. Elevated lot catches breezes and spectacular ocean and sunset views. Rural subdivision with paved roads.